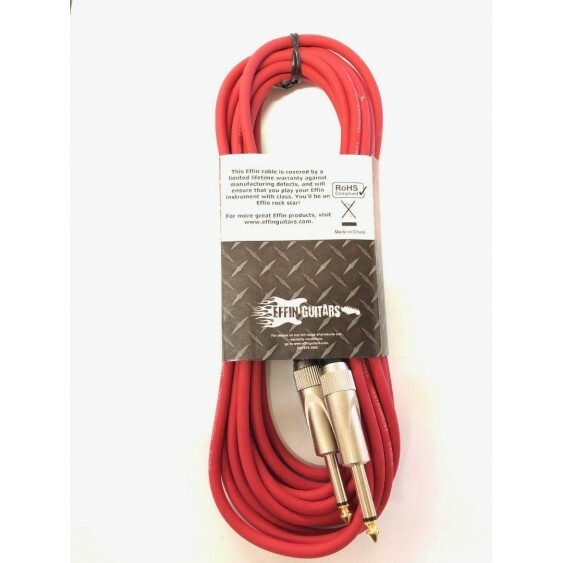 Get your Effin groove on with a great new Effin instrument cable. 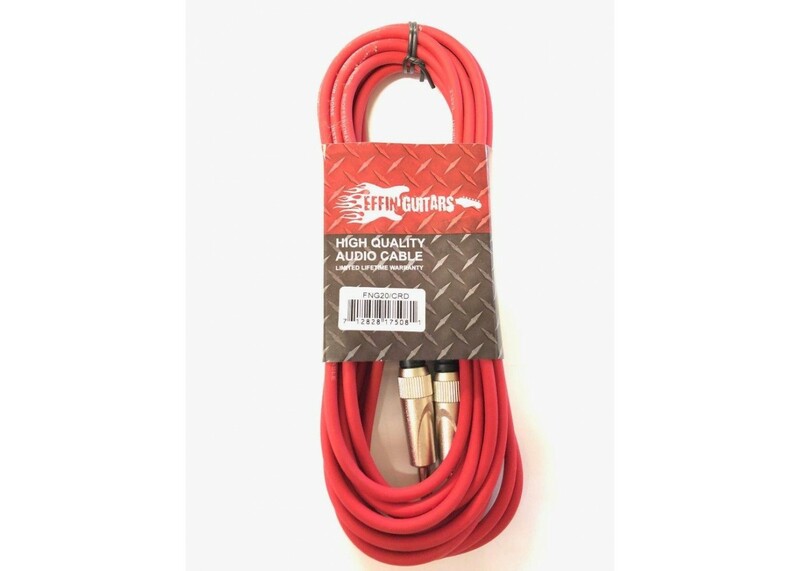 Crafted to extraordinarily high standards and covered by a limited lifetime warranty, these Effin cables simply feel great, work great, and have that vintage look that never gets old. Manufactured with state-of-the-art consistency, they are 100% guaranteed to work. 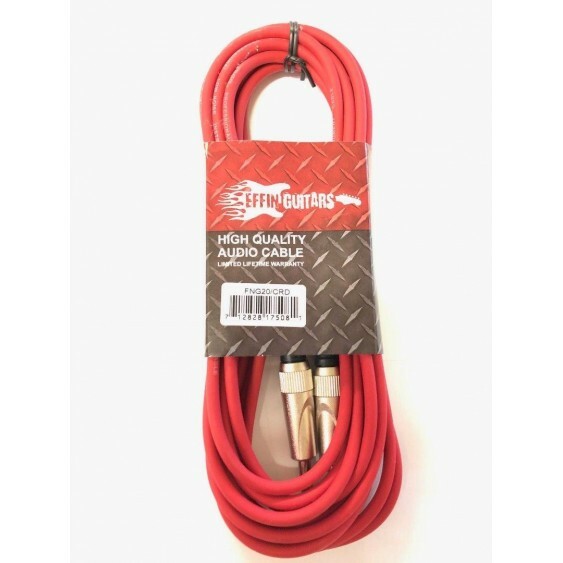 Whatever your electric instrument, you'll find this to be the perfect cable for your needs. This cable is a wonderful affordable, durable, no non-sense instrument cable from Effin Guitars. At 20 ft. the cable is long enough to get the job done with less possibilty of ground noise associated with longer cables. 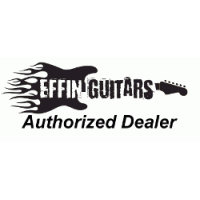 Fits most electric instruments.